Jason Cong, professor of computer science in the UCLA Samueli School of Engineering, and his coauthors have received the best paper award at the Association for Computing Machinery/Special Interest Group on Design Automation’s 27th international symposium on field-programmable gate arrays. This year’s best paper award was selected from a total of 161 submissions. The symposium is the premier conference for presentation of advances in all areas related to field-programmable gate array technology. FPGAs are circuits that are designed to be configured after manufacturing. Cong’s paper, “HeteroCL: A Multi-Paradigm Programming Infrastructure for Software-Defined Reconfigurable Computing” results from a close collaboration between a group at Cornell and Cong’s group at UCLA. It can help developers to focus more on designing efficient algorithms rather than being distracted by low-level implementation details. Cong’s research interests include electronic design automation, energy-efficient computing, customized computing for big-data applications, and highly scalable algorithms. 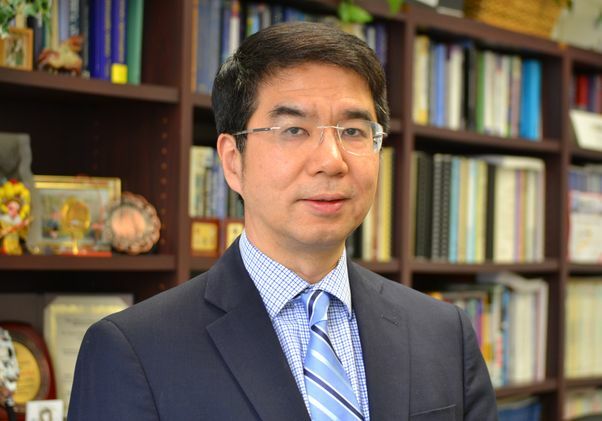 He has published more than 400 research papers in these areas, including winning 12 best paper awards, and three 10-year retrospective most influential paper awards. Jason Cong, professor of computer science in the UCLA Samueli School of Engineering.